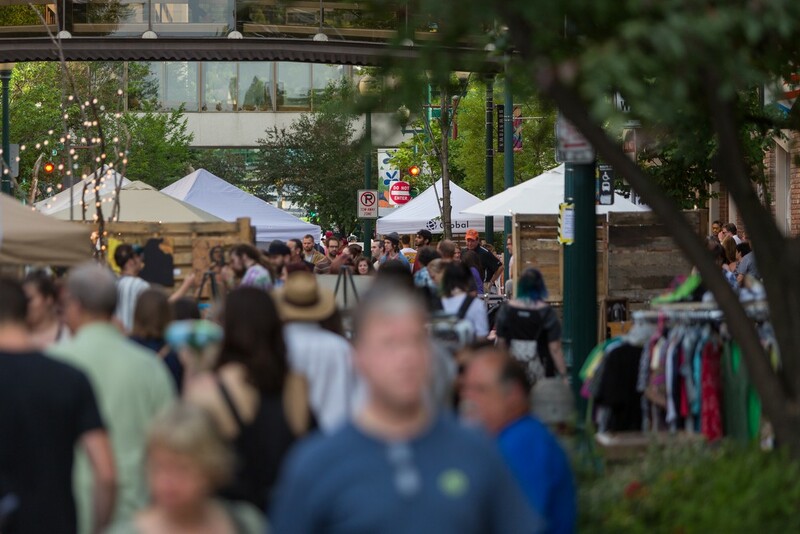 On Saturday, Wall Street, just south of Riverfront Park, was transformed into an outdoor market of goods for Terrain's Bazaar. 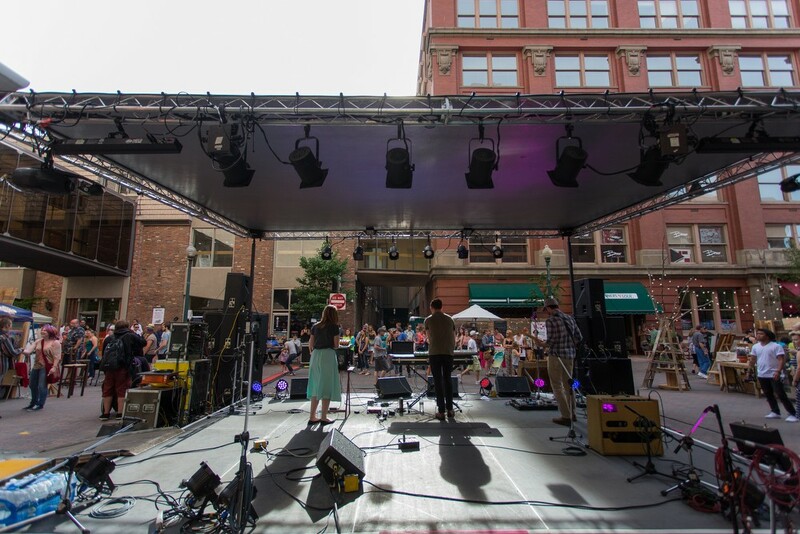 Vendors, mainly local and regional artists, sold paintings, prints, sculptures, clothing and jewelry, as bands performed on a main stage. 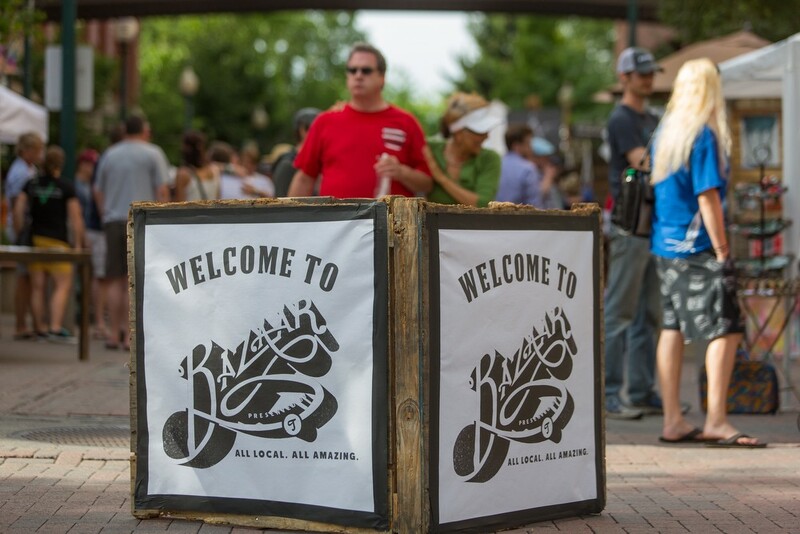 A beer garden sat across from the main stage, while across the street were food trucks. People walk down Wall Street during Terrain's Bazaar. 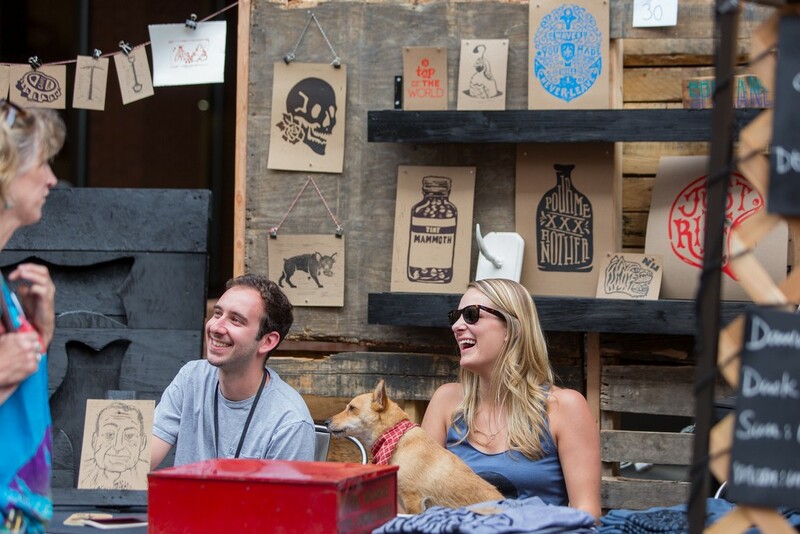 Aaron Abolofia of Tiny Mammoth Ink, left, sits with his friend Melissa Estma and dog Lola at his booth. 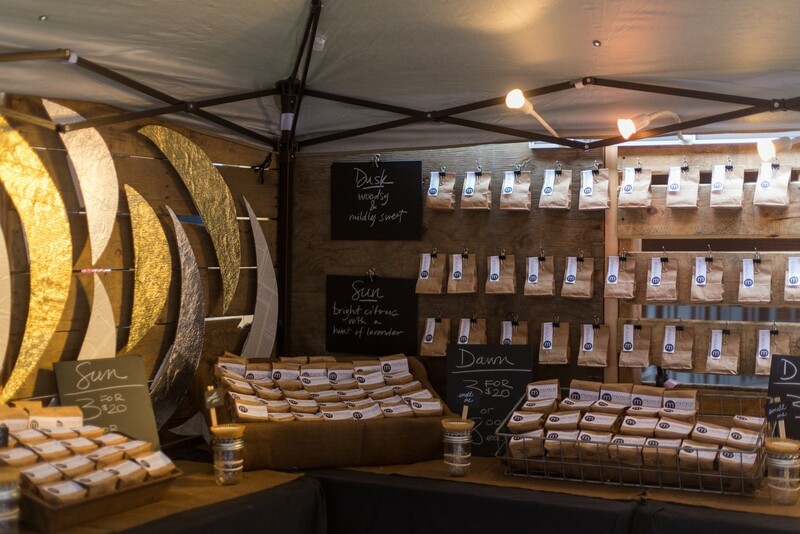 Mimosi soaps and salts display their product at their booth. 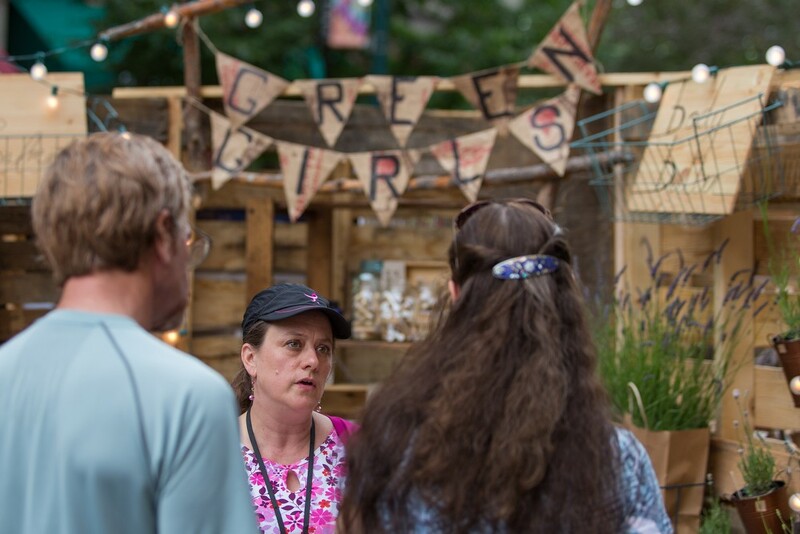 Lois Green, center, of Green Girls, explains the different oils she produces to customers at her booth. 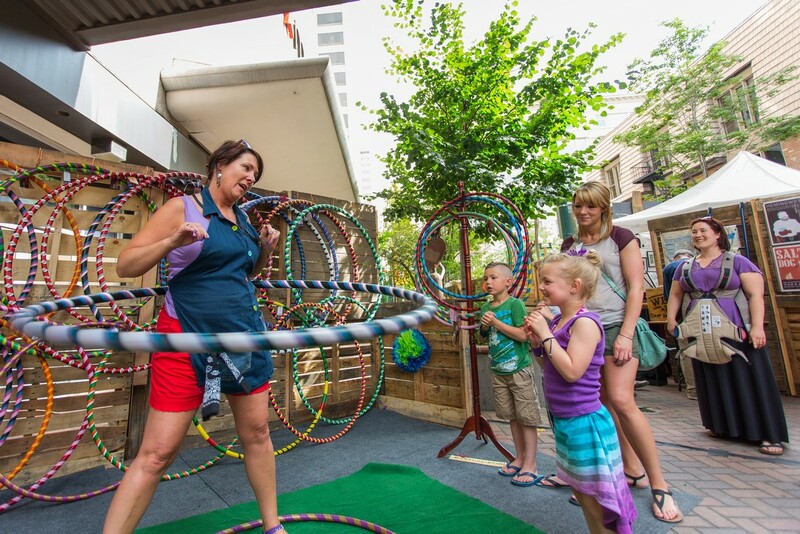 Michelle Heyn, left, of Rock Rings Hula Hoops demonstrates her skill to children. 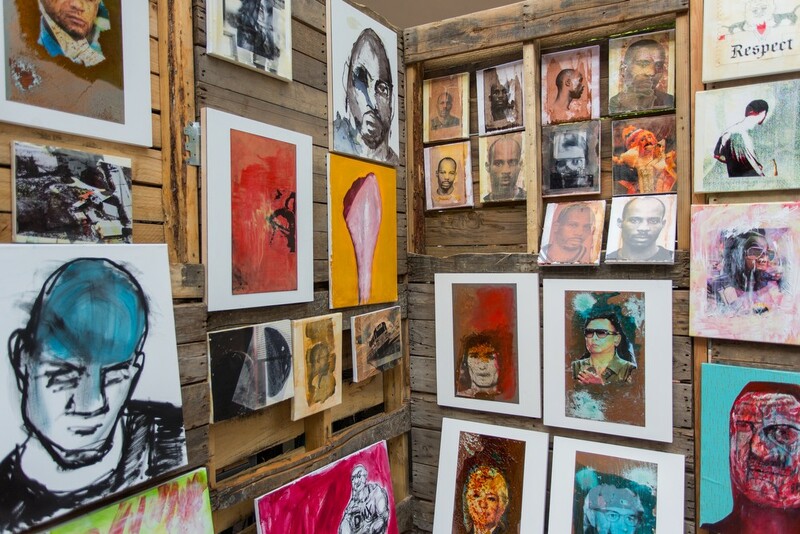 Ryan Desmond displays his paintings at his booth. 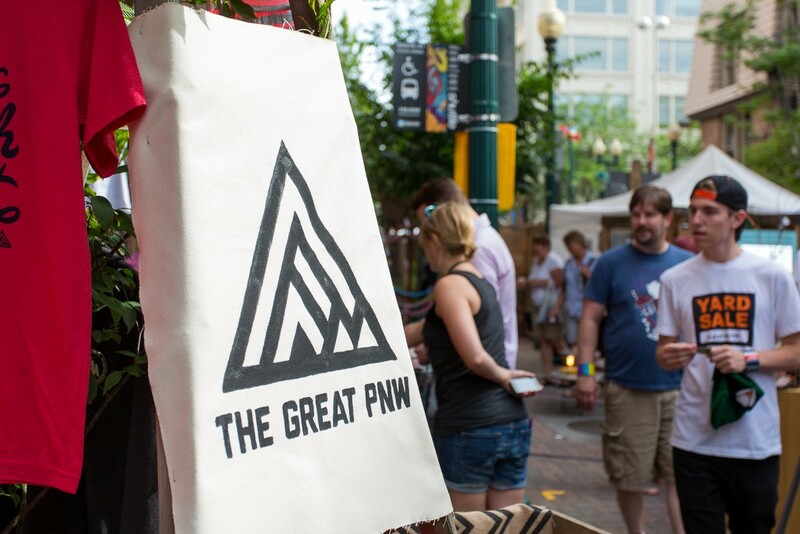 The Great PNW was one of over 40 booths at Terrain's Bazaar.